Are you moving from Boston to Florida but are worried about your car? Do not bother any more as American auto transport will take care of everything – from packaging to door delivery. There are many reasons that you might seek a transportation service – you may be relocating to different place, might need delivery of vintage car to new place, getting new car from distant place or gifting someone an antique car…the reasons could be many. What you need is a reliable American auto transport service that takes care of your vehicle properly. 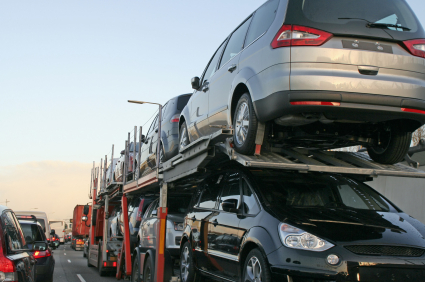 There are several factors worth considering before hiring a genuine car shipping company. The foremost is the price of the shipment – this includes estimated car/truck value, insurance amount and other transportation charges. Get quotes – You can check online for some really professional auto transport services. You just have to send any inquiry to get the quotation and then make a smart decision. What is extremely important is that you get what you pay for? Check out for deals with the shipping brokers to grab the best discounts. The prices depend on the type, model, size of car and distance traveled with the various weather conditions affecting it. Some auto shipping companies also consider the weight and height of the car/truck for estimation. Customer service – American auto transport providers are known for great customer services but, always check personally with the agent regarding the same. Never deal with rude, unprofessional and dubious shipping agents. Ensure that all the paper work carried is transparent with no loop holes. Do not rely on verbal promises rather get everything documented. Your only concern is that you want the delivery of car at home on time and in good condition. Make sure that your shipping agent comprehends everything and then prepares the document. Insurance coverage – You may have to declare the estimated car/truck value with the damages; only if you are transporting used vehicle. The insurance amount varies from places to the pricing of car/truck. However, your vintage or antique car can get special insurance cover which you can discuss with the auto shipping company. Another smart trick is to get pictures clicked of your truck/car just before shipment. This would help you safeguarding some proofs of the car which you can match on delivery. Speak about the insurance amount and its coverage. Sign the deal only after you are completely satisfied. Thoroughly read the entire agreement before signing it.